The current header, see full photo above, was taken in San Francisco a few weeks ago. We have a great hotel one block from this spot that we have stayed in a few times. On one occasion we hopped in a cab and headed out for dinner and the cab driver headed down this rather clean, fairly well lit alley. He mentioned that this was a ‘dividing line’ in the city. 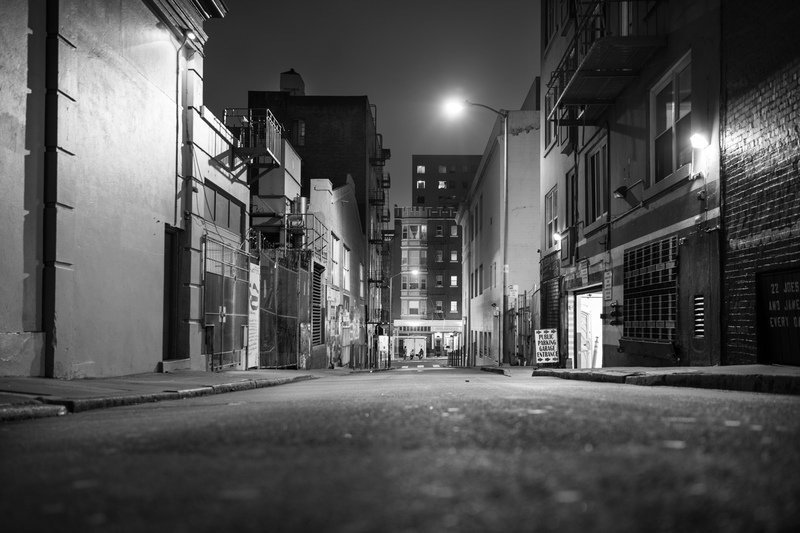 For a few blocks west of this alley things were somewhat questionable in the evenings. We made our way west of this ‘dividing line’ a several times, in the evening and didn’t really see a difference from one block to the other. Photographically speaking, I really liked this alley. Great symmetry of lines, nice mix of horizontal and vertical lines, well lit for night shooting and perfectly safe. The perspective was taken from a very low, crouching position. Even though I like a change of perspective this was out of necessity, since a tripod was not an option and crouching gave me a little more stability in this case.